Supermoon is a term used to describe when the moon is full and at its closest point to the Earth, making it appear brighter and larger than a regular full moon in the night sky. A total lunar eclipse, on the other hand, is when the moon passes directly through Earth’s shadow (umbra) and, thus, is completely covered by it. Usually, this occurs slightly more frequently than once every two years. 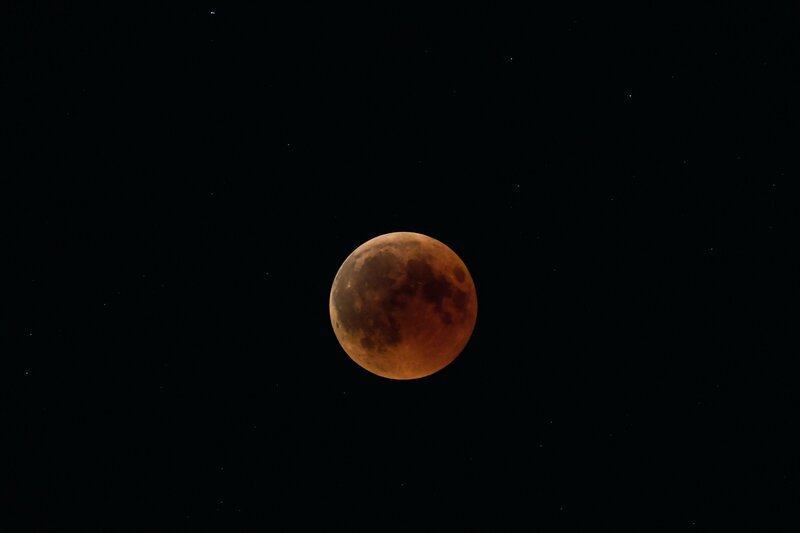 During a total lunar eclipse, some light from the sun which is not directly blocked by our planet is refracted through the Earth's atmosphere and bent onto the moon at a shallow angle which turns it a dramatic reddish-brown color. This phenomenon is often described as a “blood moon.” The event in January will also be the first full moon of the year, which is known as a "wolf moon." In the U.S., the full total eclipse will begin at 11:41 p.m. EST on Jan 20 and will last until 12:53 a.m. in the morning of Jan 21 as the moon passes through the full shadow of the Earth. However, a partial eclipse will be visible from around 9:30 p.m. on Jan 20 and by 2:48 a.m. the event will officially be over. Unlike solar eclipses, the lunar eclipse can be viewed safely with your eyes and this method may even be preferable to looking through a telescope as it may allow you to see more. Choose somewhere away from artificial street lighting, if possible, for the best views. As an added bonus, the stars will be more visible during the full eclipse as the moon will appear much less bright than it does normally. A supermoon coinciding with a total lunar eclipse is a relatively infrequent event. Of the 87 total lunar eclipses set to occur in this century, only 28 will match up with supermoons, Anna Ross, an astronomer at the Royal Observatory Greenwich, London, told Newsweek. The last full moon took place recently on December 22, just a day after the winter solstice, which marks the shortest day of the year. For those of us in the Northern Hemisphere, the full moon that appears in December is usually referred to by the phrase “full cold moon."